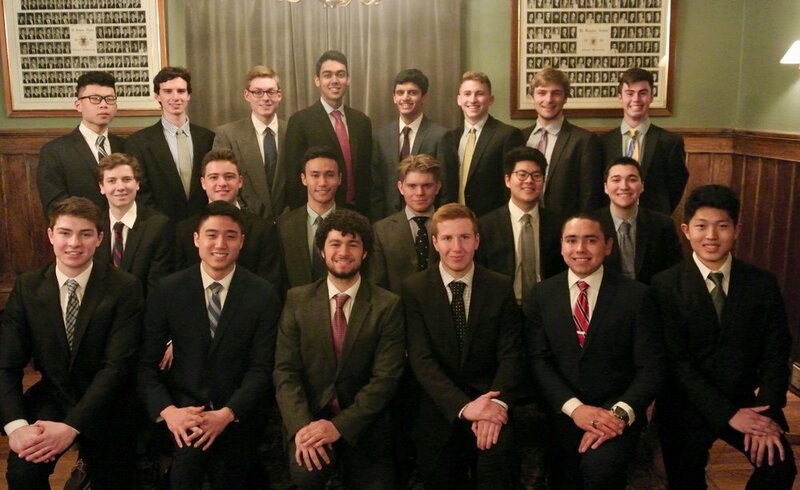 Welcome to the Beta Theta Chapter of Pi Kappa Alpha at Cornell! We are thrilled that you have taken the time to look at our website. Pi Kappa Alpha prides itself on providing the ideal fraternity experience, and having a brotherhood filled with diversity of thought and background. The brothers of Pi Kappa Alpha seek excellence in everything they do. They are the leaders of the future, and I am proud to call each and every one of them my brother. Being a PIKE is more than just being a member of a fraternity. It is a chance to form life long bonds of unity and friendships. With intramural sports, mixers, date nights, philanthropic events, community service opportunities, and brotherhood events, Pi Kappa Alpha’s calendar is always overflowing with exciting things to do. Not only do we encourage you be involved with PIKE, but we also encourage you to pursue other activities on campus to get the most from your Cornell experience. It brings us great joy to announce that the active members have initiated 26 new members into the Beta Theta chapter on the evening of Sunday, March 3rd. 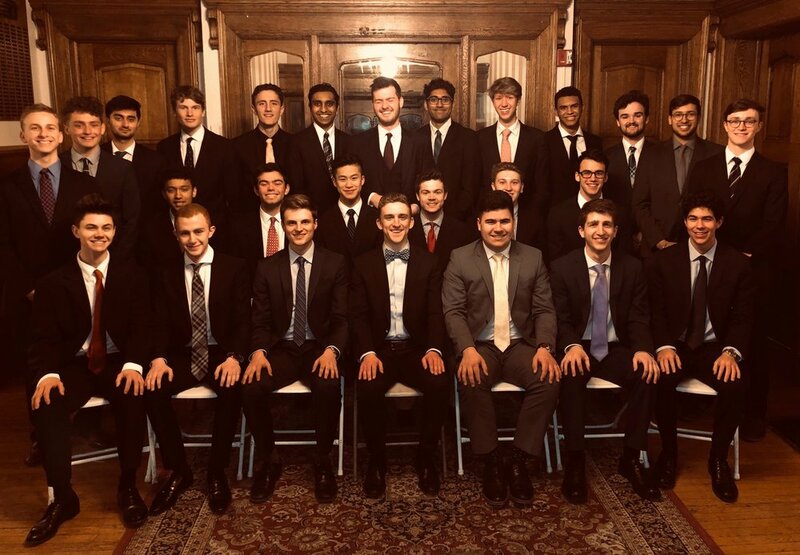 These young men come from nine different states around the country as well as six international students from France, South Africa, Pakistan and the United Kingdom. 35% are first-generation fraternity members and 8% are first-generation college students, making them one of our most diverse new member classes ever! On campus, they are involved with the men’s rugby, Alpine ski, baseball, lacrosse, volleyball, triathlon and ultimate frisbee club teams. They are also active members of the Big Red Marching Band, Cornell Consulting Group, Cornell Global Economics and Finance Society, ILR sports business society, Phi Delta Epsilon (a professional medical fraternity), Cornell campus tour guides, Global China Connection, the French club, speech and debate team, and the sustainable design club. 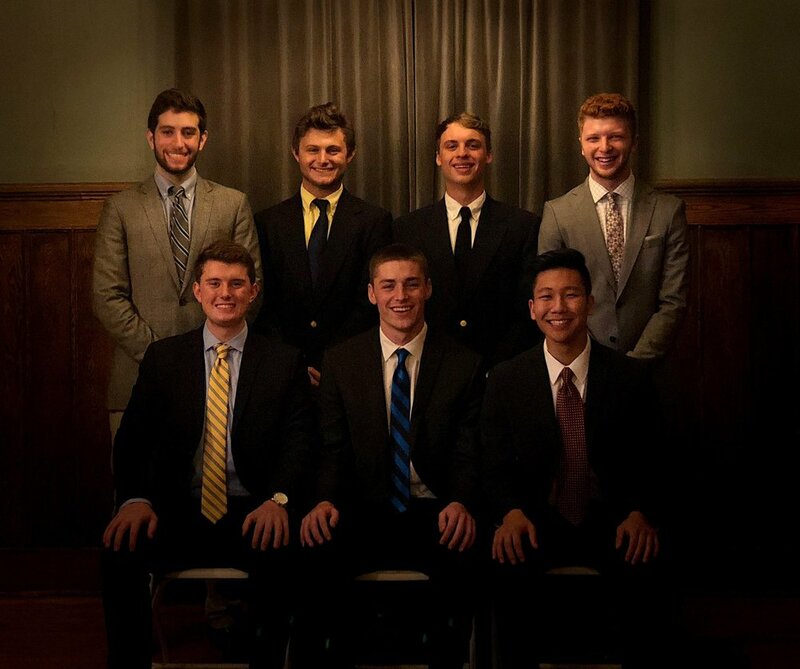 They hold executive board positions on Cornell Financial Risk Club, Phi Gamma Nu (a professional business fraternity), Cornell Model UN, Dragon Day, Project Aquarius, Cornell Formula SAE (Society of Automotive Engineers) Project Team, Engineers Without Borders, and the Association of Computer Science Undergraduates. Additionally, we have members of the new class who volunteer their time with the Cayuga Heights Fire Department, have been recognized as an AP Scholar with distinction, an international DECA (Distributive Education Clubs of America) champion, a Hunter R. Rawlings III Cornell Presidential Research Scholar, a representative in the residential student congress and a proud Eagle Scout. Their success and dedication at Cornell University make them great additions to become future zealous members of Pi Kappa Alpha. Below is a list of the new member class with their expected graduation year. We look forward to seeing the men you will become and are honored to call you our brothers! 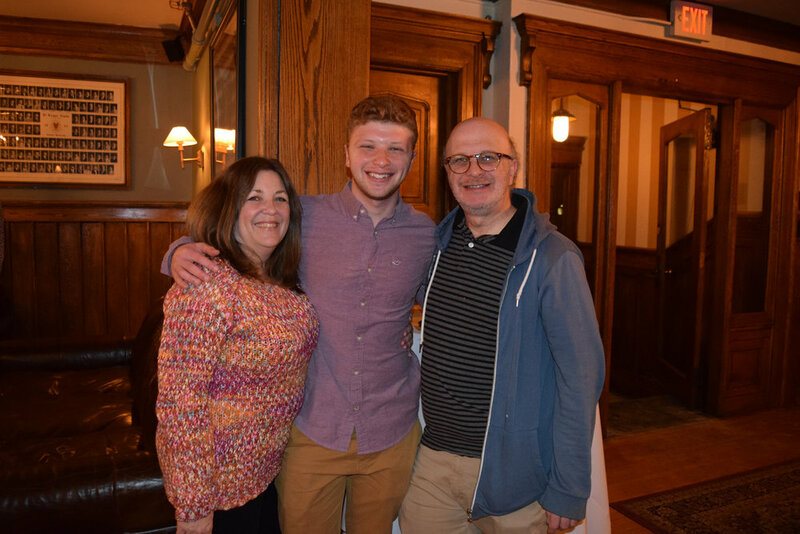 This past weekend saw over 30 families visit campus for Family Weekend, a wonderful opportunity for parents and family members to get a taste of what their son is experiencing in PIKE. 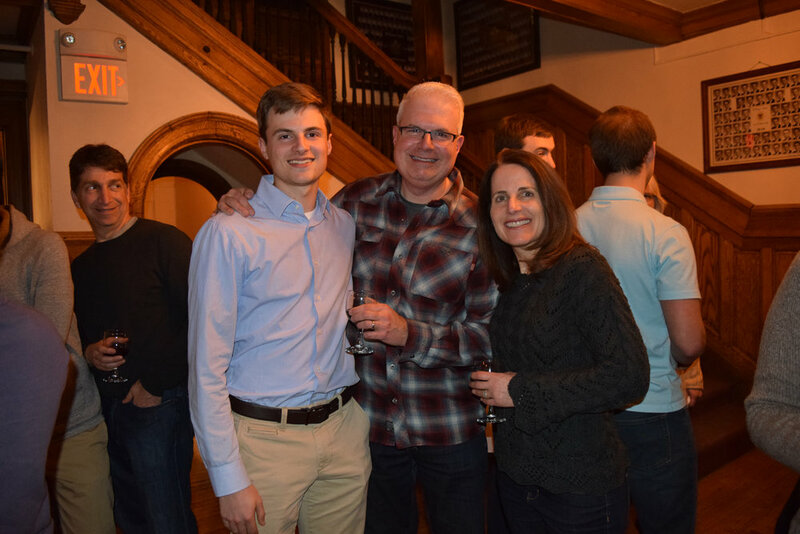 The events kicked off on Friday, March 1, with an open house at 17 South Avenue. 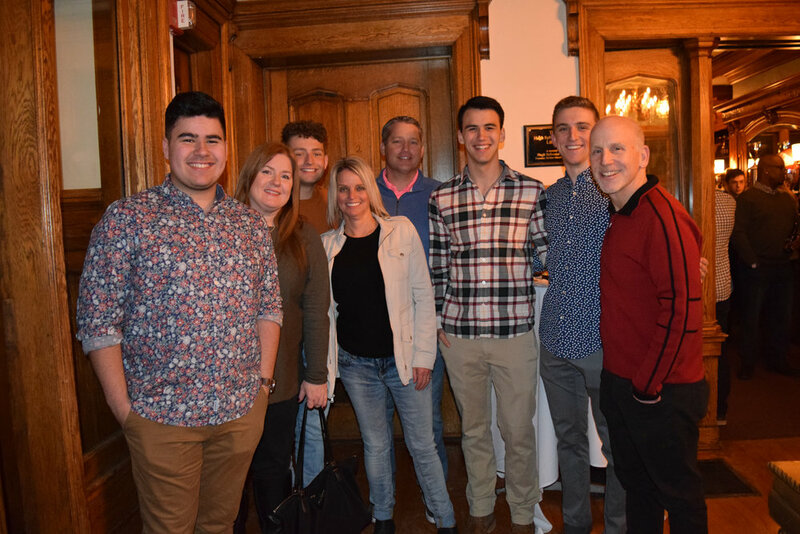 Brothers introduced their families to one another, toured the chapter house, and enjoyed charcuterie and desserts prepared by our own Chef Paul. On Saturday, March 2, families enjoyed a delicious luncheon at the scenic Cornell Lab of Ornithology. This was followed by a presentation on our chapter's values by the current executive board and chapter leadership. Alumnus Andrew Salamida '15, shared his personal 'Why PIKE?' story and answered questions from the congregate. The evening was capped off with families convening at the house for a night of stories and bonding. The weekend culminated on Sunday morning with a delightful brunch held at Cornell's own Taverna Banfi. We’d like to thank all of the parents and family members who joined us for this extremely fun-filled Family Weekend! We hope you all enjoyed the opportunity to get to know each other and hear what PIKE is all about. We hope to see you back on the hill soon! We enjoyed meeting and hosting you for the weekend, and we hope you enjoyed the opportunity to get to know each other and hear what PIKE is all about. It is always wonderful to meet the amazing parents and family members responsible for raising our members, and we are truly grateful for your continued support of your son’s decision to join this fraternity. 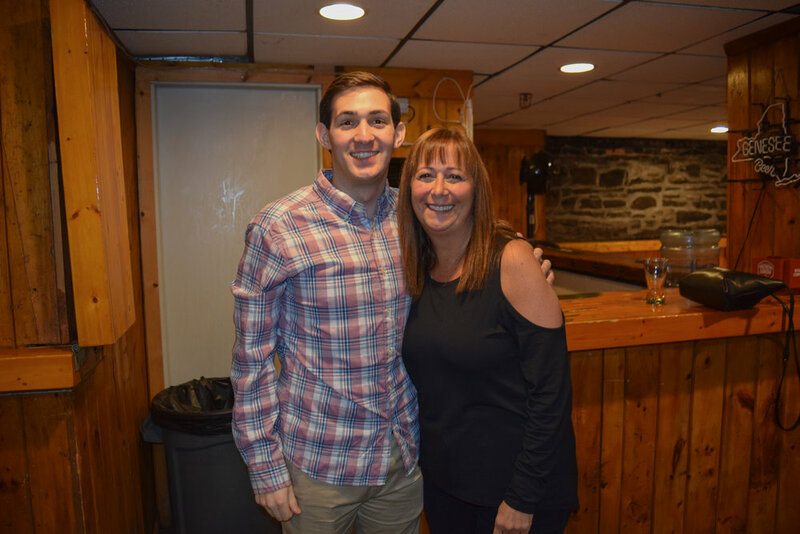 We look forward to seeing all of the incredible things that your son will accomplish as a PIKE, and to having you with us again at our Family Weekend next year! Fall 2018 was a huge semester for PIKE philanthropy. We successfully ran two philanthropy events that, together, raised over $1,000 dollars for the Mental Health Association of Tompkins County. The first event was a dunk tank event on Ho Plaza. Brothers got together showed out to get dunked for philanthropy. Over $650 dollars was raised and all proceeds went to the Mental Health Association of Tompkins County. 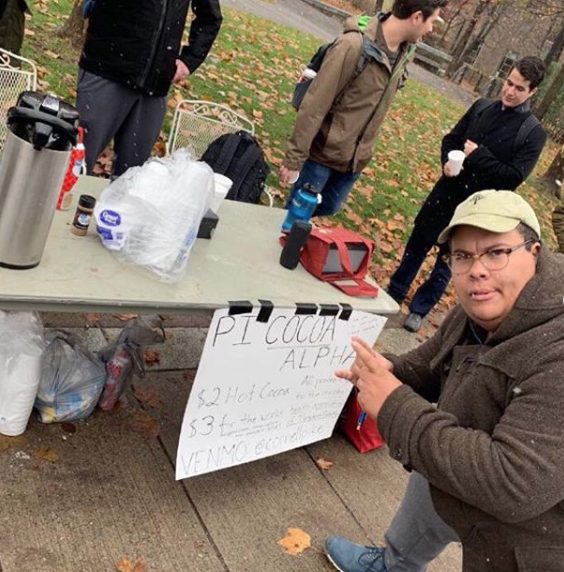 We continued our annual tradition of Pi Cocoa Alpha this year. Brothers battled the freezing cold to serve hot chocolate to stressed students during prelim season. 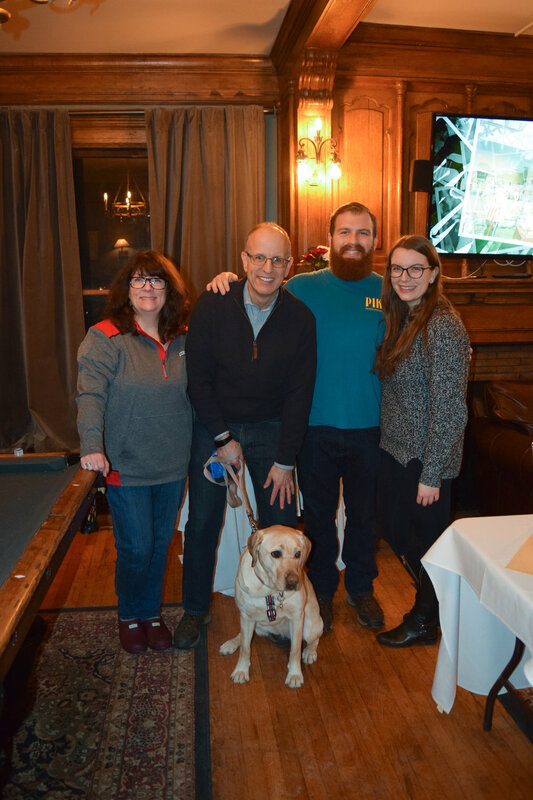 The event raised nearly $350 on behalf of the Mental Health Association of Tompkins County! We are happy to present to you the seven newest additions to the Beta Theta chapter. These young men come from five different states around the country. They come from diverse backgrounds and bring great accomplishments with them. Among them include, a pianist, a violinist, an indie band member who is releasing an album early next year, a certified rescue SCUBA diver and master SCUBA diver, the regional head of Europe for the Cornell Global Economic & Finance Society (CGEFS), and a model for Urban Outfitters – San Francisco. On campus, they are involved with The Class Notes (a co-ed acapella group), West Campus Compost Manager, Consent Education, Cornell Photo Society, AguaClara, a project team focusing on community-scale water treatment technologies, researchers in Space Law and Economics, and active members of the club boxing, volleyball and lacrosse team. Additionally, one is in the Navy Reserve Office Training Corp preparing for our Nation’s Marine Corps. Their success and dedication at Cornell University make them great additions to become future zealous members of Pi Kappa Alpha. Below is a list of the new member class with their hometown and expected graduation year. Spring 2018 was a huge semester for PIKE philanthropy. We successfully ran two philanthropy events that, together, raised over $6,000 dollars for the Mental Health Association of Tompkins County and the American Cancer Society. In conjunction with the Alpha Chi Omega sorority, we hosted a “ΠK”, a 3.14 km run through the Cornell botanical gardens. The proceeds from this event went towards supporting mental health and advocacy in Tompkins county. This semester we also ran a Relay for Life booth with the sisters of Tri Delta sorority. 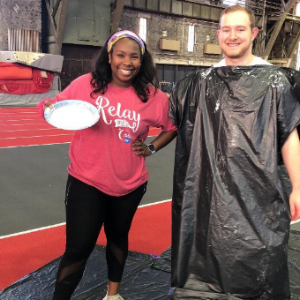 Relay for Life participants were able to stop by our booth to throw a pie at a PIKE brother. Proceeds from this event went towards cancer research. 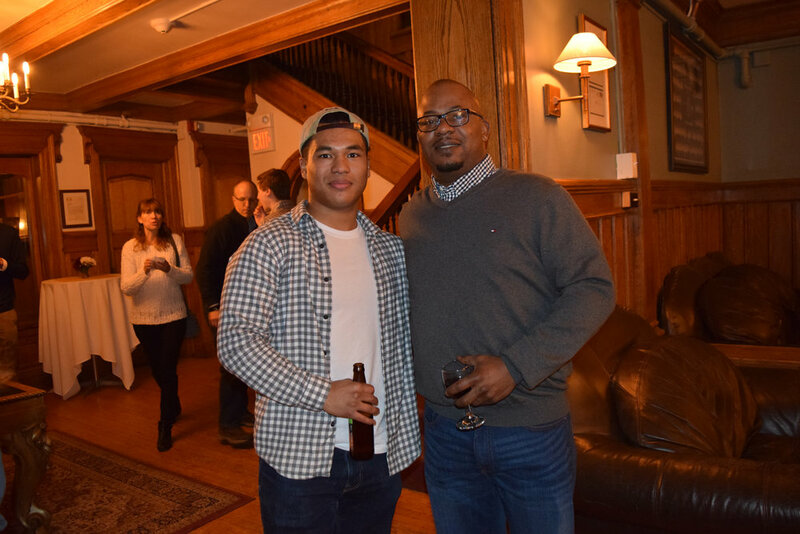 The events kicked off on Friday, March 9, with an open house at 17 South Avenue. 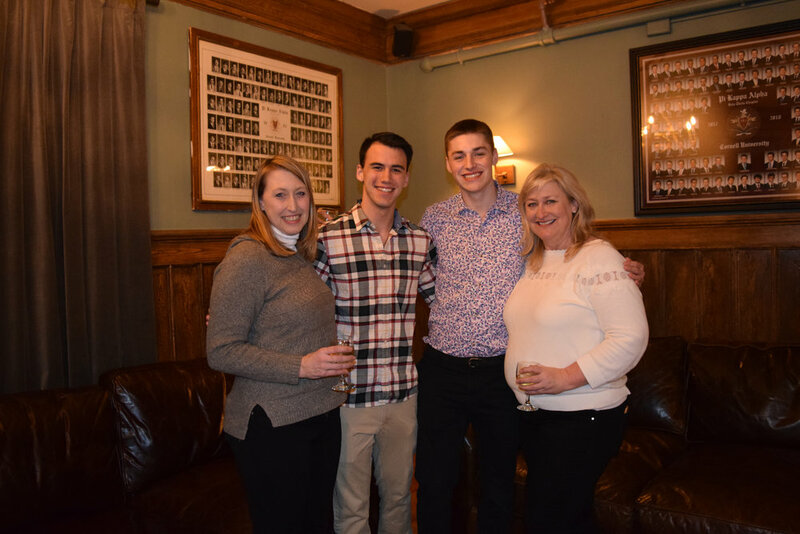 Brothers introduced their families to one another, toured the chapter house, and enjoyed charcuterie and desserts prepared by our own Chef Paul. On Saturday, March 10, families enjoyed a delicious luncheon at the scenic Cornell Lab of Ornithology. This was followed by a presentation on our chapter's values by the current executive board and chapter leadership. 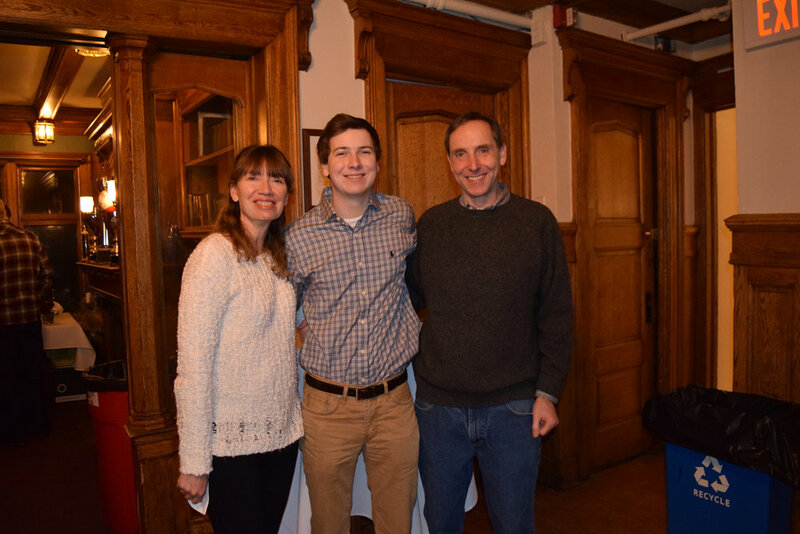 Two alumni, Chuck Whitehead '83 and Andrew Salamida '15, shared personal 'Why PIKE?' stories and answered questions from the congregate. 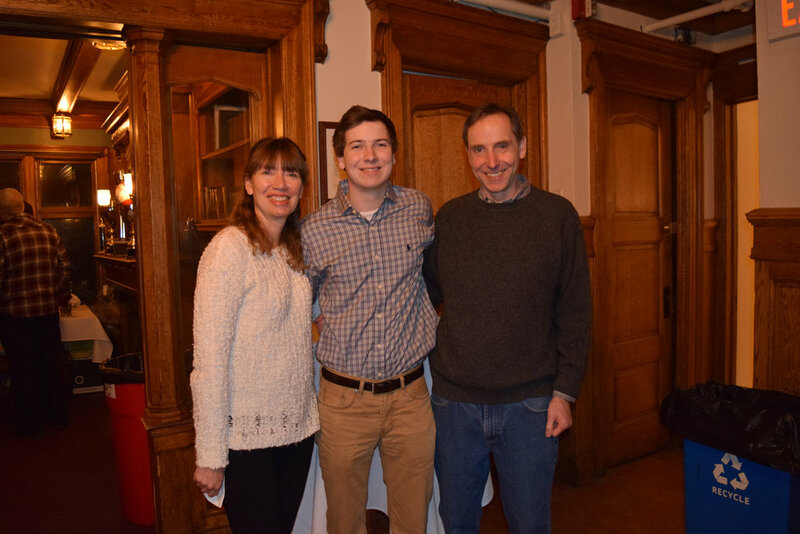 The evening was capped off with families filling Lynah Rink to support the men's hockey team in their successful ECAC quarterfinal matchup against Quinnipiac, before reconvening at the house for a night of stories and bonding. The weekend culminated on Sunday morning with a delightful brunch held at Cornell's own Taverna Banfi. On Sunday evening, March 1st, 1868, Pi Kappa Alpha was born. 150 years ago, 6 men gathered together to found our beloved Fraternity. On this special day, we reflect on how PIKE has developed our brothers into the Scholars, Leaders, Athletes, and Gentlemen that they are today. Celebrating 150 years of brotherhood, we wish all of the brothers, in this country and around the world, a Happy Founders Day! We, the brothers of the Beta Theta Chapter, are proud to be a part of 150 years of excellence. Here’s to future! Here's to brotherhood! It brings us great joy to announce that the active members have initiated 20 new members into the Beta Theta chapter on the evening of Sunday, February 25th. These young men come from eight different states around the U.S., as well as Great Britain and Australia. 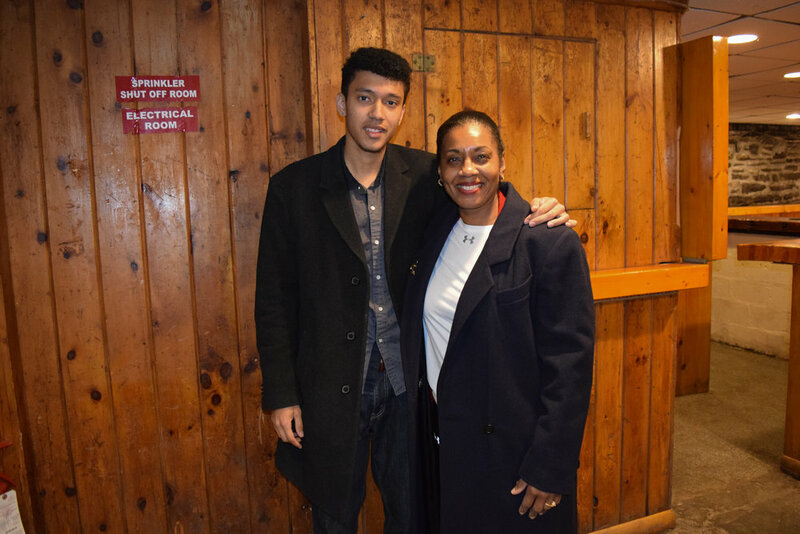 15 are first-generation fraternity members and one is a first-generation college student. We are proud to say that these newly initiated men comprise a diverse group of Cornell's best men. On campus, they are involved with the Big Red Sports Network, Cornell Daily Sun, Cornell Outdoor Education, Residential Student Congress, Cornell Consulting Club, Energy at Cornell, the Cornell Hedge Fund, and are active members of the Club Rugby, Water Polo, and Swimming teams. They hold executive board positions in Cornell’s Beekeeping club, men’s rugby, as well as Phi Gamma Nu, a professional business fraternity, and Phi Delta Epsilon, a co-ed international medical fraternity. Additionally, three of these young gentlemen are proud members of Army and Navy ROTC. Their success and dedication at Cornell University make them great additions to become future zealous members of the Beta Theta Chapter of Pi Kappa Alpha. Below is a list of the new member class with their expected graduation year. In addition, this past weekend saw 13 of our favorite women be recognized as sweethearts for their contributions to our chapter. Please congratulate these lovely women! Our Centennial celebration occurred during Cornell’s 2017 Homecoming weekend (October 20th – 22nd) with more than 150 alumni returning to campus to partake in the festivities. For the active brothers, it was an incredible experience to hear all of the stories, traditions, and experiences that have given our chapter a rich and vibrant history over the past 100 years. The weekend was a huge success, filled with memories, laughter, and good times had by all. We look forward to making the next 100 years even better than the last! November was philanthropy month for our chapter. In an annual tradition, a number of brothers participated in the Movember Foundation's moustache growing event called "Movember." The Movember Foundation is the only global charity focused solely on men's health. 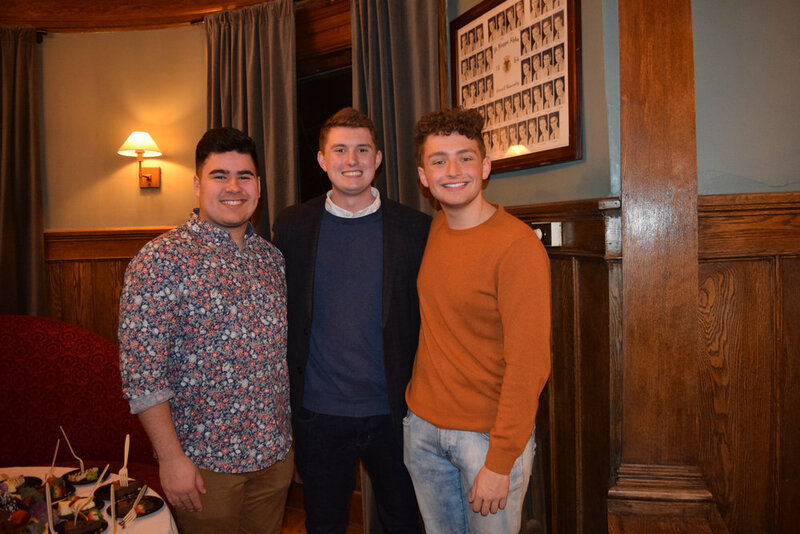 Brothers raised over $500 to tackle some of the biggest health issues faced by men: prostate cancer, testicular cancer, and poor mental health. In addition, we held an on-campus philanthropy event on Thursday, November 16th and Friday, November 17th, with all proceeds going to the Mental Health Association of Tompkins County. Brothers braved the frigid cold and set up shop on Ho Plaza with gallons of rich hot chocolate and, of course, whipped cream. 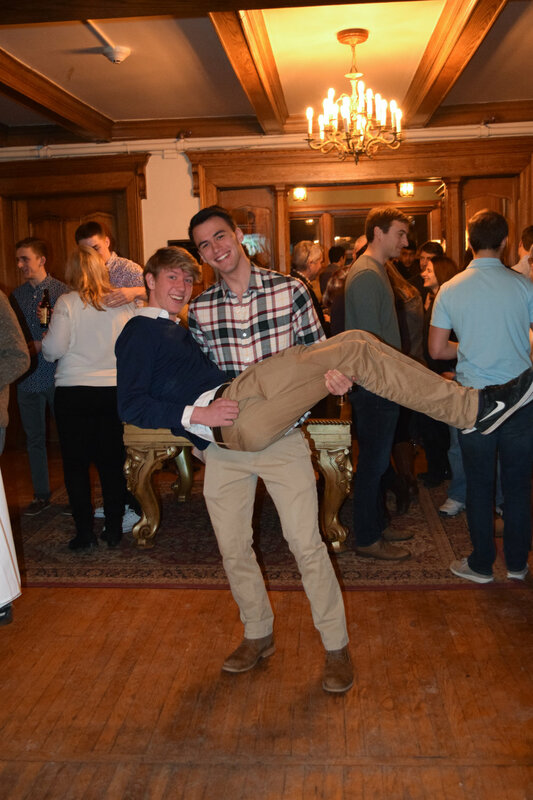 The event was a resounding success, raising over $500 and warming scores of Cornellians in the process.